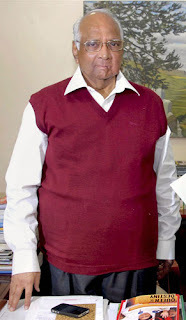 Union Agriculture Minister Sharad Pawar on his 72nd birthday in New Delhi on Monday, 12 December, 2011. The common man is angry. Make no mistake about it. The incidents of shoeing and slippering are on the rise and politicians have to be very careful during press conferences. It all came to a head when NCP minister and ICC chief Sharad Pawar was slapped in front of the TV cameras. Social activists haven’t been spared either. Prashant Bhushan was thrashed in court premises over his remarks over Kashmir.